Our online platform provides the safest way of selling your unwanted jewelry and coins made of metals like platinum, silver and gold in exchange of a handsome cash amount in your wallet. On sending your items through our prescribed shipping methods you can receive your cash amount within a very short period of time. We adjust our purchasing prices every day in response to the current economic value of every precious metal. However, for the convenience of our customers we have addressed certain core issues relating to purchase of golden items and other ornamental stuffs. Highest amount paid for all sorts of golden items: You have the chance of getting highest possible cash amount on selling ornamental items of gold like earrings, pendants, class rings, medals and so on. 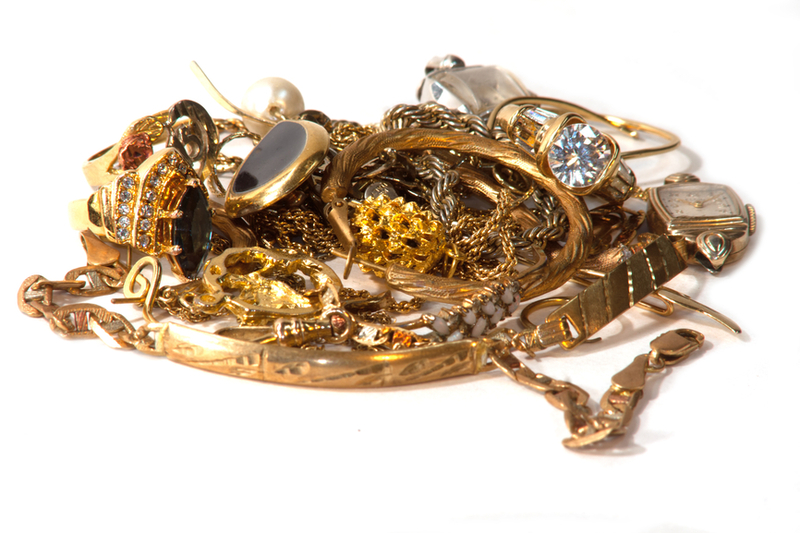 We purchase such items made of gold in any condition like bended, tangled, damaged and broken without any hesitation because we have the required workforce to return the exact conditions of such ornaments. Our site also purchases any golden item marked with 18ct, 14ct, 12ct, 9ct, 24K and so on. If some golden items are not at all marked and some are having absurd marking. Then forward such items at our address and we shall conduct test on such item to obtain their actual markings. Getting fast cash for every foreign and US gold coins: Our site purchases US gold coins of various values and also purchases territorial gold, commemorative coins and many more from the customers. Customers are requested not to polish or clean these coins for that it may reduce its value. We also purchase gold coins of the foreign nations like Belgium, Austria, Asia, Africa, Vatican, Switzerland and so on. Highest amount to be paid for Diamond Jewelry: On possessing any unwanted diamond jewelry that you are planning to sell just forward it to our address and we shall buy that item at the reasonable market price. Our experts shall evaluate this item and your legitimate payment will be forwarded to you. Certain people attempt to remove these stones and in the process crush or damage them. Allow our experts to compensate you on selling these items. Highest amount to be paid for flatware and sterling silver: We also purchase various silver items like sugar shakers, silver knives, silver forks, silver tablespoons, wine coasters, silver bases and other sterling flatware sets of silver. We buy marked items when it comes to silver items. You can also send us your hallmarked silver items with that of crowns, animals, small heads, letters, anchors and so on. Our expert will evaluate such marked items and on that basis you will receive your appropriate cash amount. Getting cash for every industrial item of platinum, silver and gold: Our site buys every industrial item made of metals like silver, platinum and gold. Retired professionals, dentists, jewelers and dealers can forward to us their costly metals for determining their exact cost for them only. Then you will receive the decent cash amount for sending such items at our disposals.